Traveling to Sint Francis wasn’t without danger and Nadia is devastated after losing Logan. He gave his life so they could escape the zombie herd that swarmed them. Within the safe walls of Sint Francis, Nadia feels uneasy. She’s being treated like a teenager, but surviving in a zombie world has made her grow up very fast. Nadia knows that she’s as much of a danger to the living as are the zombies. Nadia has been bitten and survived, making her a carrier of the virus. Can Nadia find a way to fit in or will her grief force her to flee? Nadia, Cat and Lisa have become best friends. Together they’ve fought, laughed and cried and they do everything to keep each other safe. When Cat and Lisa found out that Nadia was planning on running away they decide to join her. Outside the group danger lurks behind every corner. It’s not only the walking dead they have to look out for. The living can be just as deadly. What are their options when one of them gets captured by a ruthless gang? Nadia, Cat and Lisa all have their own issues to deal with. They’ve been through a lot, however they have always found a way out. After all the time they’ve spend together the girls have became resilient, resourceful and a true force to be reckoned with. I loved the dynamics between them. They understand each other perfectly and know their individual strengths and flaws very well. I had an immediate connection with the girls ever since the very first time they’re introduced in the Dangerous Days series and I couldn’t wait to read more about their own journey. Dead of Night is a frightening story about surviving in a new world. Little things become very important again and their will to live has never been higher. I love to read stories about strong female characters. Baileigh Higgins has managed to make them come alive realistically. The girls are true heroines and stand for what they believe. Dead of Night is the first book in the Dangerous Nights series and the unexpected terrors made my heart skip multiple times. Baileigh Higgins is an experienced and skillful writer and I highly recommend this brilliant book. If you love the post-apocalyptic and zombie genre, then Dead of Night would be a perfect choice for you. If you sign up for Baileigh Higgins's newsletter you will receive Survive Another Day, Lycan Advent and The Hybrid Theory for free, plus you will be notified when she has a new release, promotion or giveaway. South African writer and coffee addict, Baileigh Higgins, lives in the Free State with hubby and best friend Brendan and loves nothing more than lazing on the couch with pizza and a bad horror movie. Her unhealthy obsession with the end of the world has led to numerous books on the subject and a secret bunker only she knows the location of. She's never happier than when surrounded by friends and family. After all, home is with those you care the most about. 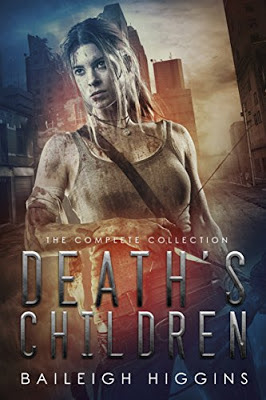 One very lucky reader of With Love for Books will receive a digital copy of the complete Death's Children by Baileigh Higgings box set. 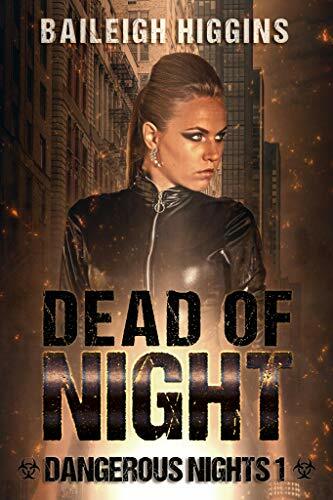 Dead of Night sounds like a brilliant post-apocalyptic story and a great start in the Dangerous Nights series. great author - think everyone should get a taste of your fantastic imagination!! I love strong female characters too. Your review has me sold. Gonna follow her newsletter and check out her work. Awesome review, thanks for sharing! It sounds like a very interesting book! I am looking forward to read it! Your books look so nice. Again MS. Higgins. Conveys! Another extraordinary story, incredible characters, phenomenal plot. The characters are trustworthy! 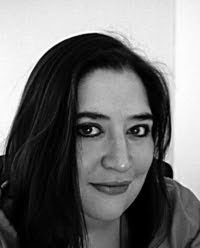 She influences the South African scenes to appear to acquaint however I am 1/2 a world away. The main downside is the tales end.